Pingback: See ‘Teen Mom’ Catelynn Lowell’s First Sonogram Photo! How in the hell do you know they are good parents, they did not raise a child they chose not to!!!! That little girl they gave up has two wonderful parents who are raising her!!! Tyler has anger issues and was abusing the dog they have! Guess you don’t know to much about them at all so they may not be the best parents! Seriously! They gave their daughter up like 5 years ago when they were kids! Are they never supposed to have another kid because of it? And that dog thing was forever ago! Maybe not the best way to deal with something but he’s gone to therapy to deal with his issues! They’ve proven to be good parents by giving their daughter a better life then they could’ve givin her 5 yrs ago! They’re great people and deserve to have a great life! They’re the only ones to decide when they’re ready to have another baby and obviously they’re adults now and are ready! You’re bringing up things from so long ago which is immature and childish! Geeeeeze! Rude! Loganpoe96 Tyler and Catelynn did what was best for Carly that right there makes them good parents if you have a problem with what they did maybe you should just keep your mouth shut because its not your concern what they did with their first child! I support her 100%. It isn’t no ones business that she’s pregnant again. A mother knows when they are ready to have another baby. she says she’s ready she’s ready. Loganpoe96 it doesn’t make u a bad parent on giving your kid up they are great parents they did what was best for their child. you don’t like it then don’t comment on it plain and simple get a life don’t worry about what Katelynn and Tyler do with their life. Meagan who are you to judge you have no place to judge other people mind your own business and get a life. am very have for them congrats Katelynn and Tyler I hope your very happy. That’s awesome! Wish you the best of luck.. You guys are an inspiration to a lot of people. Its not rite to give your first baby up for adoption and keep your second baby. that’s messed up!! I bet Carly is going to wonder how come my mom and dad gave me up but kept my brother/sister. There is really no reason to put your child up for adoption unless you have health/mental issues. I have two boys and struggled to take care of my first son and it was hard but I never thought of putting my son up for adoption. As a mother I don’t see how anyone could give there child up for adoption!! Smh sad!! You, my dear, need a reality check. Good for you that you worked hard for your children. Would you have rather she had an abortion? Many people don’t consider adoption, they have abortions. Health issues aren’t the only reason to give a child up. I understand it’s your opinion, and more power to you, but don’t judge someone’s situation just because you decided against it. And no, I haven’t given a child up for adoption, I’m pregnant with #7, but MY opinion is adoption is a wonderful option if you feel that there is no other. They were not able to take of there self let alone a child…so now they are financially stable to take care of there self and this child and your might not agree but who cares they did what was best for their daughter. Also that little girl will completely understand y and she will love them for that so quit with the judging cause it’s not cool. How is it not right? They had their first child when they were 16? They are now about 24 were they never suppose to have another child? I couldn’t agree more Meagan! meagan you truly are stupid they could not provide for carly that is a very good reason to give her up if they cant give a child a good life what are they supposed to do make the child suffer? I hope you dont have any children because if thats what you think your a horrible person let alone a horrible parent! Congrats on having another baby. I admire you for giving the first child up for adoption so she could have a better life. I know that the two of you will be great parents as you already show that in the decision you made the first time. Good Luck and Congrats on staying together for as long as you have . I believe you two will make great parents now. You did the right thing with your daughter and one days she will know it was what was best for her and that you love as much as your second and if you were older when you had her you should have choice a different path. Your adult that’s right! You pick if your ready to a parent or if someone else is need to raise your baby! Good luck with your pregnancy and I have a healthy baby you deserve your chance now! congratulations u two but at least try to get back ur oldest daughter now that u guys r ready to take care of kids cus that’s gonna be so sad to keep ur 2nd child when u gave up your 1st child imagine how carly gonna feel. Carly gonna grow up always knowing u gave her up and had another baby and kept him/her remember that! There’s millions of people worldwide that are not ready for baby’s but wouldn’t give them up. As to the shows on t.v. u guys weren’t that bad to give the baby up there’s way worse people with nothing and still don’t give up there baby. So try to get carly back AT LEAST since u guys r ready to take care of kids. They made a very selfless, loving decision by giving their daughter to a couple who could ensure her everything she needed and deserved. If you watched any of the show, you would see what a dysfunctional life both of them had. You would also see how hard of a decision it was to make. Just because you don’t agree with something doesn’t make it wrong. Everybody is different, and not everybody would have been able to do what they did. And, to whoever says it isn’t right to give up their first child and have another, does that mean that everyone who gives up a child to give them a better life never deserves children of their own? To anyone that says they are STILL not financially ready to have another child: No one is EVER financially ready to have a child. You could save for years and have a good paying job. But everything does add up. Between formula, diapers, wipes, clothes etc.. Also, to anyone saying that they are not good parents: They gave their daughter up for adoption because they felt like they weren’t ready to raise a child at the time. I personally would not give my daughter up regardless of the circumstances. But, I believe they did it because they love her more than anything in this world. And lastly, when Carly is old enough to know that she is adopted she may completely understand why Catelynn and Tyler gave her up for adoption and kept their second child. Some people need to stop being so judgemental. Cat & Ty did what was best for Carley not what was best for them. They did a open adoption so they are a part of Carleys life. It shows they are responsible to have used birth control and waited to get degrees and their life together before deciding to have another child. They were young and learned a very valuable lesson when they got pregnant with Carley and they hand picked her new family. Congratulations to you both!!! sorry to ask, what kind of degree they have??? 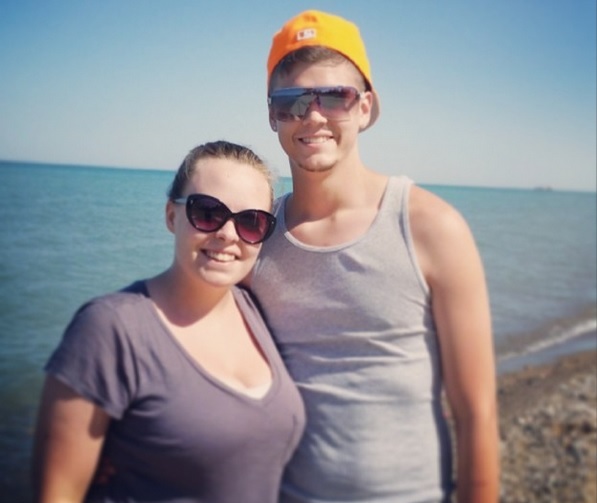 Pingback: Is Catelynn Lowell pregnant again? 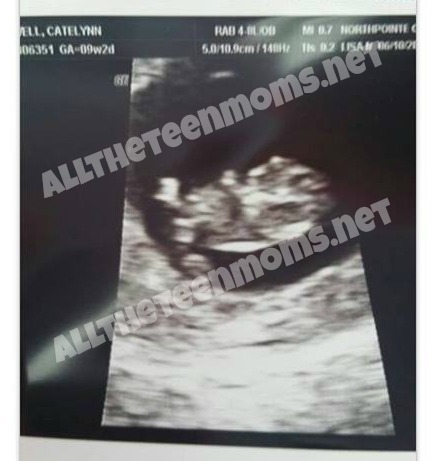 See her sonogram and baby bump!